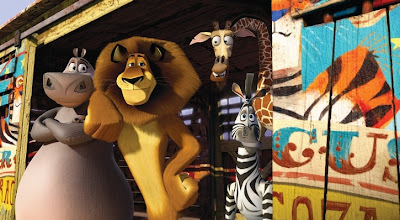 Mendelson's Memos: Weekend Box Office (06/10/12): Madagascar 3 and Prometheus both open well. Weekend Box Office (06/10/12): Madagascar 3 and Prometheus both open well. As I often say, ranking is a relatively irrelevant stat that shouldn't be used as a barometer for box office success. Both wide releases opened like rather well this weekend, and in this case the weekend gross of the second place film is arguably a more impressive achievement. Anyway, the number one film of the weekend was Madagascar 3: Europe's Most Wanted (review) which debuted with a pretty big $60 million. That's pretty close to the $63 million that Madagascar 2 opened with back in 2008 and the $61 million that the first film debuted with over its four-day Memorial Day 2005 opening weekend. I had theorized that the film might explode even higher due to the utter lack of kid pics this summer (ala The Lorax earning $70 million in March after months of no family films), but I'm not going to pretend that this debut it's 'disappointing'. It's still a solid debut that's right in line with the previous entries of the series, give or take inflation and the 3D bump. It's almost identical to the $60 million debut of Kung Fu Panda in June 2008 and the $59 million debut of Dreamworks's Monsters vs. Aliens in March of 2009. The film earned an 'A' from Cinemascore and while it's not quite that good it is a lot of visually creative fun. That most kids are already out of school made the film's Friday ($20 million) play like a proverbial Saturday, meaning that there was no Saturday jump ($22 million) as is sometimes the case with animated films. The film played 45% 3D, 56% female and 54% under 25 years old. The picture pulled in a decent 2.9x weekend multiplier, or similar to Kung Fu Panda (3.0x) and Wall-E (2.7x) in June 2008 and Toy Story 3 (2.65x) in summer 2010. The film is quite entertaining and is pretty perfect casual family viewing (my 5 year old rather enjoyed it in glorious 2D), so the film could very well clean up again next weekend. After that it's a question of how well it copes with direct competition, with Brave opening in two weeks and Ice Age 4 debuting on July 13th. The first film ended up with $197 million domestic while the second film finished with $180 million, so this arguably more entertaining sequel (the second film has a superior story, natch) should approach or surpass those numbers. The last few non-Shrek Dreamworks cartoons (How to Train Your Dragon, Kung Fu Panda 2, Puss In Boots) have earned $490-$665 million worldwide boosted by their sheer visual quality and global 3D interest. That's fitting as Dreamworks was doing the 3D-cartoon thing long before Avatar made 3D a 'fad'. 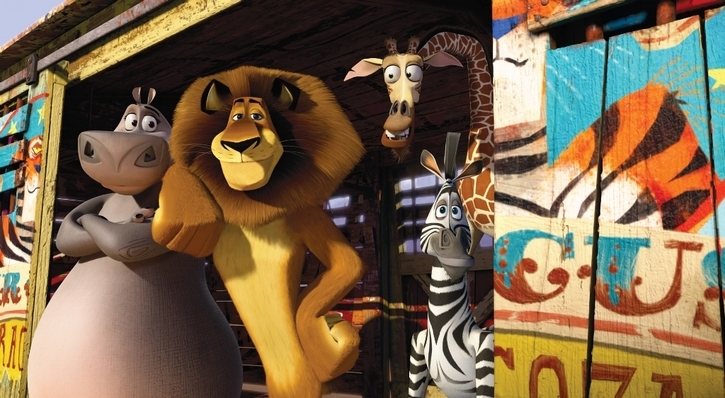 And the two prior Madagascar films grossed $532 million and $602 million worldwide respectively. So, with $75 million in the overseas till already and a worldwide opening of $135 million, expect an equally big payday for the $145 million threequel and a part four in a few years. Fox's would-be Alien prequel was a giant question mark going into the weekend. The $130 million sci-fi thriller was eagerly anticipated by geeks but it was unknown if general audiences would flock to a somewhat cryptically-marketed (which was in fact spoiler-heavy) R-rated film that seemed like a mega-budget version of The Thing. 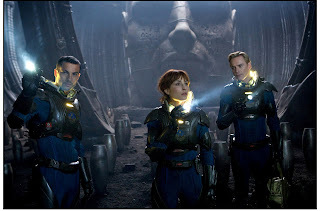 But Prometheus (review) rode decent (if not superlative) reviews and the legacy of a 33-year old franchise to a solid $51 million debut. The film has been in release overseas for a week prior to its US debut and as such has already topped $91 million overseas for a $141 million worldwide total. No matter what I think of the film, Fox deserves kudos for marketing what for all intents-and-purposes was advertised as an original property to a solid debut. Like Paramount's work on Star Trek back in 2009, Fox took a film tied to a well-known but somewhat cult-ish sci-fi franchise and rebooted the series to quasi-blockbuster figures (a $79 million opening weekend). But while Star Trek cost $200 million (or more?) and didn't do very well overseas, Prometheus cost 'just' $130 million and thus doesn't have to set records to be profitable (what a novel concept...). This is actually the first weekend of summer thus far without a wide opener costing $150 million or more and depending on how much Brave, Ice Age 4, and/or The Amazing Spider-Man cost, it may be until July 20th until we get another mega-budgeted film (The Dark Knight Rises cost $250 million, which it should earn back over its first worldwide weekend). The film played 57% male with a whopping 18% of its grosses coming from its 294 IMAX screens. The highest-grossing film in the Alien series is Aliens with $85 million, so that unadjusted benchmark should be toppled by next weekend. This is Ridley Scott's second-biggest debut, behind the $58 million opening of Hannibal back in February 2001 and ahead of the $43 million debut of American Gangster in November 2007. Adjusted for inflation and the 3D bump means it sold fewer tickets than both. There is some gloomy news, as the film had a pretty mediocre 2.4x weekend multiplier and it fact did 7% of its business in midnight screenings alone. Normal for a geekish but not insanely-anticipated debut is 4-6%. The word of mouth is mixed-negative, and frankly they are correct. For what it's worth, the film earned a B from Cinemascore. Point being, all signs point to pretty heavy frontloading, meaning that we *may* see a weekend-to-total ratio similar to Green Lantern or Watchmen, which would give Prometheus a $115 million domestic finish, or right ahead of the $108 million finish of Black Hawk Down. Still, and this bears repeating, even if the film doesn't play well over the long haul, it's still cheap enough that it doesn't have to set the box office sky on fire to make money and/or spawn a sequel. With an R-rating and a reasonable and realistic budget, Prometheus stands as a solid example of how to make a tentpole without risking the whole tent. I didn't like the film and it may in fact be a quick-kill blockbuster, but there are still some positive lessons to be taken from this one. There were nearly a dozen limited release debuts, and the only remotely impressive one was Safety Not Guaranteed, which earned $11,111 per each of its 16 screens. It's ugly stuff out there, which just goes to show that glutting the art-house is even more damaging than glutting the multiplex. In holdover news, The Hunger Games finally passed the magic $400 million mark. It's all the more impressive when you consider that it did it the old-fashioned way, without 3D and only a week of IMAX play. Unless The Amazing Spider-Man pulls off a miracle (not likely from word out of the junkets), The Hunger Games will end 2012 among the top four highest grossers of the year, likely behind The Dark Knight Rises but perhaps ahead of The Hobbit (I really don't see The Hobbit recapturing the ten-year old Lord of the Rings magic, but I didn't think The Avengers would be at $575 million at the moment either). Last weekend's top movie Snow White and the Huntsman (review) took a hard dive, dropping 59% ($23 million for the weekend) and finishing weekend two with $98 million. This Universal would-be franchise-starter is doing a slow international roll-out, so it remains to be seen what the global total might be. Nonetheless, a domestic total of around $140-$150 million would be just fine had the film not cost $175 million to make, so we'll have to wait to see if foreign box office saves it (it's at $182 million worldwide thus far). Doing a bit better than the doomsayers predicted is Men In Black 3 (review), which grossed $13.5 million this weekend (down 48% with direct demo competition from Prometheus) and ended its third weekend with $133 million. More importantly, it's already out-grossed the $441 million-grossing Men In Black 2 worldwide and ends the weekend with $486 million while still going strong. So yeah, it's not a flop. If not for the terrifying cost overruns, this would have been a very profitable movie for Sony. But they'll now have to settle for merely making their money back over the long haul. The Best Exotic Marigold Hotel crossed $30 million this weekend while The Moonrise Kingdom expanded to 96 screens and pulled in another $16,444 per-screen for a new total of $3.75 million. They really ought to expand this thing semi-wide a little faster. Also in limited release, Bernie has crossed $4 million while The Intouchables crossed $1 million and For Greater Glory now has $3.4 million. Anyway, Dark Shadows is at $73 million with over $200 million worldwide, The Dictator is at $55 million with over $125 million worldwide, Battleship sits with $60 million with $295 million worldwide, and What to Expect When You're Expecting is at $35 million. And in older movies, Think Like A Man has crossed $90 million. That's it for this weekend. Join us next time when Warner Bros./New Line Cinemas debuts the film adaptation of the 1980s rock-homage Rock of Ages while Adam Sandler and Andy Samberg team up for That's My Boy (which is the first 'Happy Madison' production to go out with an R rating). Until then take care.